Lukas is a frequent conference speaker, Google Developer Expert, author and heavily involved within the Phoenix development community. He is the co-organizer of a local meetup with almost 1000 members and organizes multiple conferences and hackathons in the valley. AngularJS is an incredibly powerful framework but sometimes it can be confusing and frustrating trying to figure out how all of these amazing features actually fit together. In this series, you will learn how to build a non-trivial AngularJS application from the ground up through a series of small, digestible lessons. As we build out our sample application, Eggly, you will quickly start to identify useful techniques that you can apply to your own projects. The videos series is broken out into three series so that you can start at whatever level is most appropriate for you. 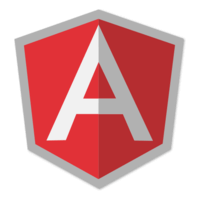 In this first series, we are going to focus on the absolute essentials for getting an AngularJS application up and running. We will start with a static HTML page and learn how to bootstrap an AngularJS application and add in functionality using AngularJS views and controllers. When we complete this section, you will have a functioning Eggly application where you can create, update and delete bookmarks and filter them based on the selected bookmark category. Don't miss Part 2: Application Architecture!